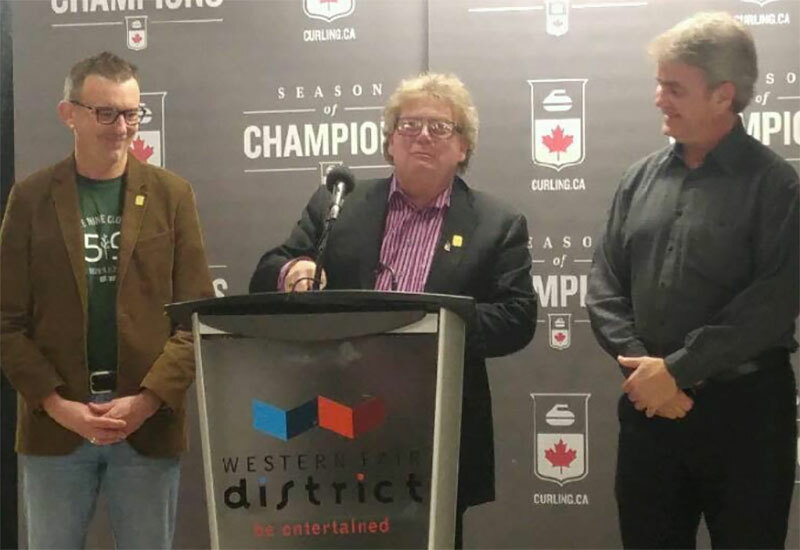 men only event - teams not listed on GSOC page yet - rankings as of pre Oly's suggest it will be: Edin Gushue Jacobs Carruthers Koe Epping McEwen Smith DeCruz Schwarz and Laycock - if they all attend. (Next 5 on list = Ulsrud, Cotter, Howard, McCormick, Shuster. I bet they WANT Shuster now... hmmm. Anyone see the final list? Shuster just announced they are in. Any chance of any coverage or legally accessible webstream in the US? I’ve had it all season for the slams and it’s been really good quality. 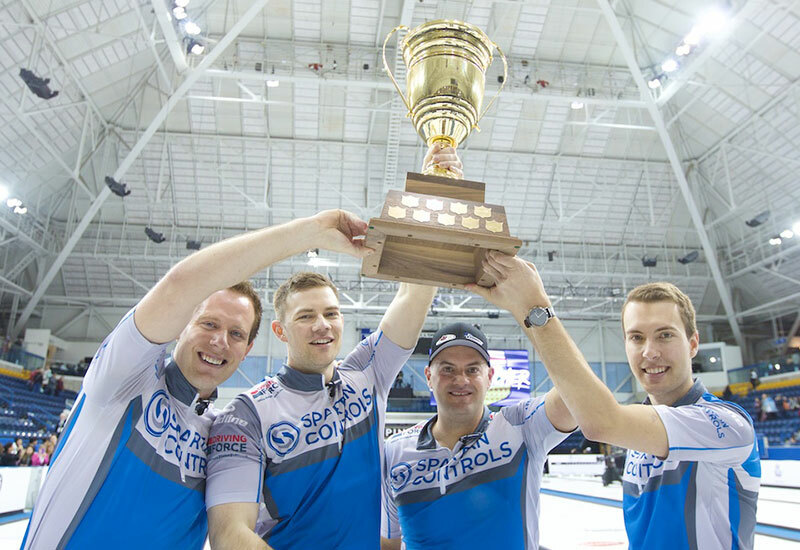 Bet sponsors were happy Botcher didn't win Brier. Stoughton has been picked up to play third for Carruthers in this event. On this week's "From the Hack" podcast, Mike Harris from Sportsnet talked about the Elite 10 a bit and mentioned that starting next season there will be a women's Elite 10 as well. More details are to come during the Sportsnet coverage of this year's Elite 10, I believe. the players all look thinner in real life - and taller ! and cuter ! Sunday 9:30 am final shud be easy !!!! power was disrupted for 15 minutes - rsn crew were using generator truck for lites so was not noticeable in stands. Princess Auto is exactly the kind of sponsor curilng should endeavour to keep and grow - I got a FREE cowbell when I visited the opening draw Thursday. 2. Don't think Kevin Martin likes being called K-Mart. I called him K-Mart as he made his way up to the broadcast booth. Really doesn't engage with fans much for a curling legend. Joanie & Husky Harris were far more becoming. 3. Ice was clean and sharp - rocks making a bit more rattle than they usually do. 4. Low ceiling arena (St. James Civic Ctr) means light racking can really bother those at floor level and up to 2 or 3 rows up - have to get to the 6th to 8th row to avoid glare. Some old folks don't like climbing that mountain. 6. Had a good conversation with the gentleman running the 10 foot by 6 ft TV in the arena, he's a former TSN and Sportsnet cameraman who now works for a company out of Regina that puts these big screen tvs to work at events such as this. 7. Safety took a second seat to speed. When the time clock failed on the outside sheet - they took too long to replace it - but once they got a fresh clock they didn't clear the volunteer ladies working behind the sheet. Those clocks look small on TV but they're actually 45" TV screens - maybe weight 10 to 12 lbs. Not much but if dropped from 15 to 20 feet they could inflict damage to a human head. They didn't clear the ladies - just replaced the thing. I was holding my breath but decided not to interfere - last time I tried to unofficially ref a dispute I almost got lambasted by Pat Ryan back at the Highlander in the late 70s. 8. Coffee was good - for $2 it should be, stands were almost 40% FULL - on the first draw - last nite they looked 80 to 90% full - purely amazing for a non-Brier or Scotties event. Last time this facility was used was in the 1990s for a Manitoba Scotties; before that a made for TV championship were Sask'n champion lady Vera Pezer destroyed an obviously drunk and ill-tempered Orest "BIG o" Meleschuk. Before that a CTV event in the early to mid 70s were I got to work with Don Chevrier as a runner of information. Crowds were bigger last night than either prior curling event. As Fresco El Diablo points out the event was well managed, tons of volunteers, computerized admissions, few sponsors in the concourse selling merch. No pin people though - that was disappointing. Parking was limited for huge crowds - snow hadn't been cleared completely form the arena's parking area. No big signs or balloons identifying the Princess Auto event in front of the facility. Princess should look into that. They should invest in a balloon sign or somesuch - as they're already into the thing for big dollars. love the way McEwen team is playing. Like a load has been lifted off their shoulders. Making the shots, loose, having fun - still sad they are breaking up. Too bad the could not have used that attitude through the season. Don't wanna be a Debbie Downer but Mike was usually "ON FIRE" during his wonderful curling career - UNTIL he's confronted by a superior monster and doesn't have the shots, patience or accuracy facing extreme pressure. Fortunately he's in the semis already. Unbeaten to boot. Probably has to get by Jacobs to advance to the final. 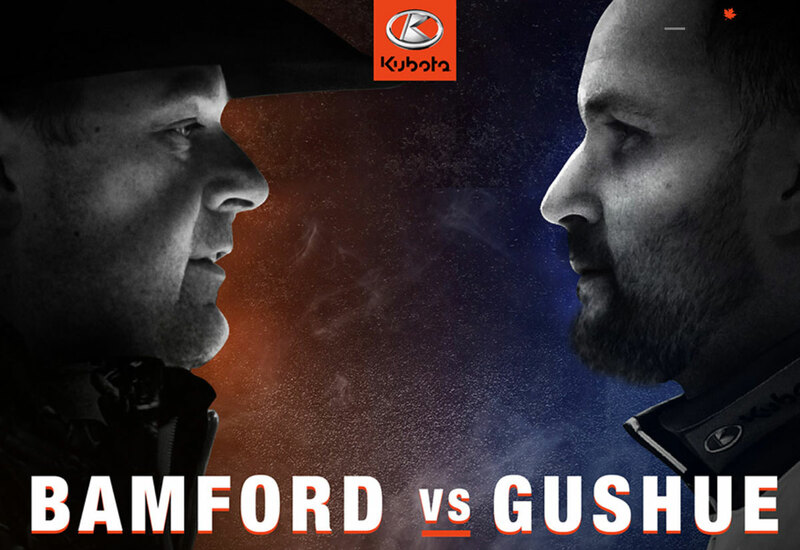 Mikey vs. Gushue would be an excellent dotting of the I's . . . .for Mike's career - particularly if he can squash an Olympic, double Brier and world champion - even if its glorified skins game. But if he loses - I'd say he's slight favorite to knock off Jacobs but vs. Perfect ending for mcewen rink. Yes, unbeaten, at home - still sad they are breaking up. Maybe they just need to announce that every week and play so loose and fun! Good Luck to all the guys! 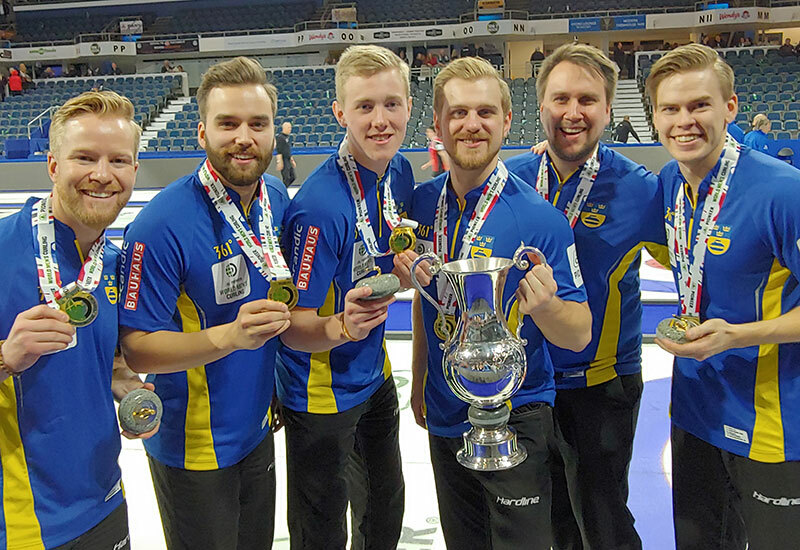 Egged on by nearly 1,000 rabid hometown curling fans - Mike Mercury and his Thunderbirds cruised to a rather easy victory in their final game as Team McEwen. Playing near perfect for the better part of 6 ends - McEwen defeated one of the greatest teams in curling's lengthy history. Long held back by the superior play of Lord Stoughton of Manitoba - McEwen erased a ton of bitter memories in one final, superlative game of icemanship. It was curling at its finest - the St. James Civic Arena has never been graced with curling at this fantastical level. great picture of Team McEwen and their "little" coaches. 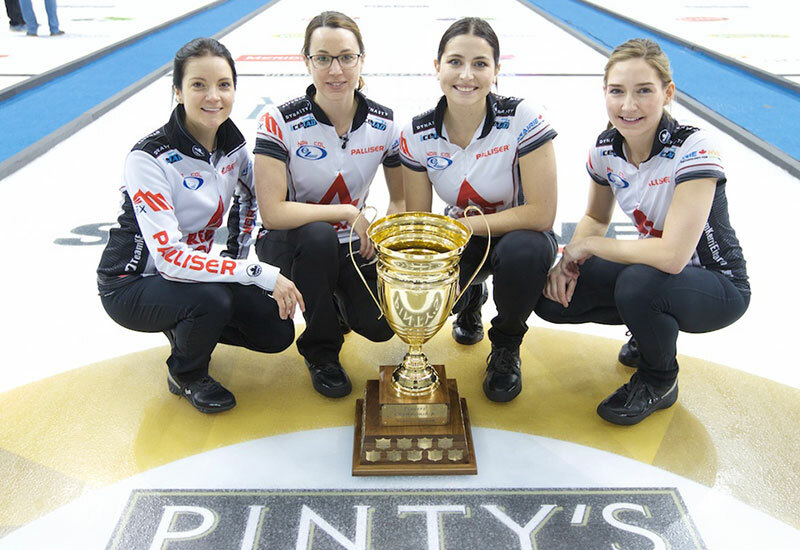 Nice features and interviews w/ Team McEwen, especially by Joanie McSasky . . .
Haven't seen Brad the Conqueror look that exasperated fo many a year - he thought he owned McEwen - and McEwen even donated a skin to the Goo Goo Guys. 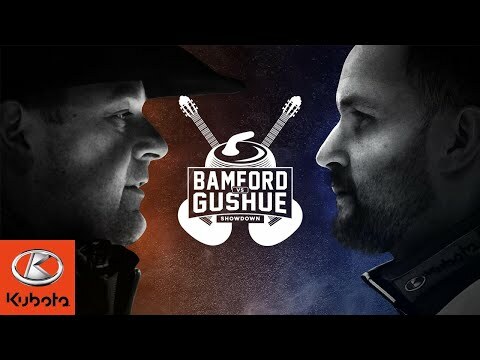 So long as Goo, Jacobs, Koe are the top of their games - McEwen will never get his hands n a Brier trophy - - - - but he's still a solid skip - and I'm sure he'll have an interesting squad come 2019. Don't they still have two events left? Would have been a nice finish but three in a row would be even better.